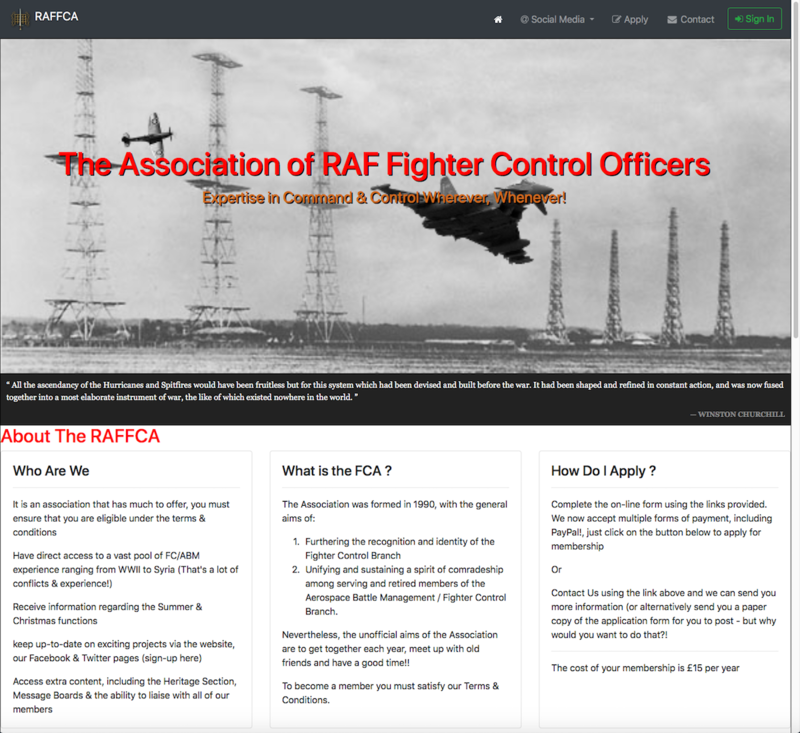 Why Not Join the Fighter Controller Association? Some elements will not work without it! At the Annual General Meeting in 2015, there was a change of Web Manager, with the new incumbent being given the task of generating a new, integrated and 'user-friendly' site from scratch. The old site, of which this is but a reduced facsimile, was kept in being with the minimum time spent on it, sufficient to maintain an information resource for Association membership. The new site does not permit the public to view pages that had previously been available on the old site; however, those same pages are still available here and can be accessed by using the menu above. While the new site is under continuing improvement and modification, with new and enhanced facilities being introduced on a regular basis, there is no access to those facilities directly from this site. It should also be noted that the new site does not permit non-member access to the new Message Board. For historical and research purposes, this site makes the previous Message Board available through the links above. Members of the Association who had had a 'log-in' to the old site and Message Board, may continue to gain access to restricted pages on this site, by using previous credentials (user ID, email address and password); provided a member's email address has not changed in the interim, the 'forgotten password' facility may be used, as before. The Association was formed in 1990, with the general aims of (i) furthering the recognition and identity of the Fighter Control Branch and (ii) unifying and sustaining a spirit of comradeship among serving and retired members of the Fighter Control Branch. Nevertheless, the unofficial aims of the Association are to get together twice each year, meet up with old friends and have a good time! !